The main reason why you should always have a backup of your files is safety. Who knows, maybe your hard disk drive will eventually be broken or it may encounter a problem that can’t be fixed and all of your data will be lost. To evade that, cloud backup services are invented. These services are usually online services which are here to store your data into servers in professional data center. The only requirement here is to have an Internet connection if you want to access your files. 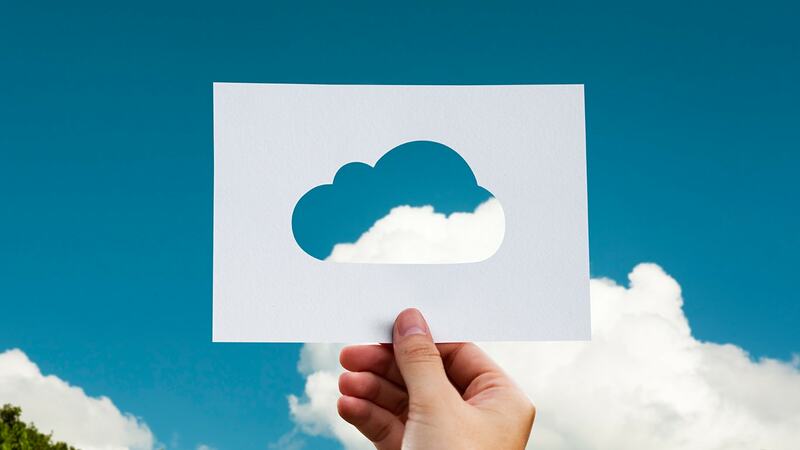 With that in our minds, let’s review 10 best cloud backup services. We will kick off our list with CrashPlan, which is the best cloud backup service in our opinion. What’s great about CrashPlan is that it offers unlimited storage space for a really ridiculous price of $6 a month, or just $60 a year. This cloud backup service also works really well and it has its own app, to help you better utilize it. For example, our upload speeds were really high, at about 3-4 Mbps at average, and CrashPlan also works checks your files every 15 minutes or so, to be the best at what it does. So, if you want reliable, cheap and quality cloud backup service, visit CrashPlan website and see what they offer. Like the aforementioned cloud backup service, Carbonite is a top tier at $5 a month. Of course, we are speaking about unlimited storage, as this is the best method to use in your backup. You’ll never know how much of a space you’ll need to backup, right? Aside from that, Carbonite offers a support external hard drives and mirror imaging, which depends on the price you pay. The most expensive service by Carbonite comes at $149.99 a year, and it will give you a full set of Carbonite features. Backblaze is another simple cloud backup service that has some great offers. First, Backblaze is a very simple website and will offer you unlimited storage, so you can now backup your big files and whatever you want. Second, the pricing is great! It costs just $5 a month per computer and if you decide for a 2-year offer, Backblaze will cost you just $3.96… amazing! iDrive is great when it comes to simplicity and effectiveness, but some of you may not like its pricing. iDrive will charge you according to how much storage you’ve used. For example, there is a 5 GB plan which, you’ll admit, isn’t great. For a 1 TB storage you’ll need to pay around $70 per year and for 10 TB there is a price of $500 a year, which is really too much. We suggest that you stick with 1 TB a year because it will most likely fit your needs. If you need more than 1 TB, it’s better to stick with some of the first three cloud backup services. Acronis offers a little more than the typical cloud backup services, but it’s also more expensive. This one will offer you a full system-image backup, with not just your files and folders, but even your operating system data. As for the pricing… this is where it gets interesting, and a little complicated. Acronis offers 250GB of cloud storage, but you first must buy it for $50 and then subscribe to the Advanced edition and pay $50 more for one PC, $80 for three PCs and $100 for five PCs a year. It may sound confusing, but with full system backup, Acronis True Image is one of the best cloud backup services at the moment, although a little expensive. SugarSync is great if you want to increase your versatility when it comes to file backup. This service will offer you a possibility to access your files from any platform you want, like a smartphone for example. As for the pricing, there isn’t unlimited storage space and the maximum is 500 GB which comes in $18.95 a month. Other than that, you can buy 250 GB for just $9.99 a month and should be enough for basic needs. Mozy can be used as a free cloud backup service, but it offers 2 GB of space. Yes, I know it’s nothing, but it’s free. At least, you can store some of your music here. Mozy also offers some paid subscription possibilities, like $9.99 a month for 125 GB, that isn’t much, but you can use three computers for this offer. To conclude, Mozy works really well, but we don’t quite like its pricing. However, if you are okay with the pricing, then go for it. Unlike some entries on this list, Livedrive offers unlimited cloud storage space. It’s a multiplatform app, good for both PC and your smartphone and supports two backup plans you can purchase; Backup and Pro Suite. With the first, you can back up one computer, while with the latter you can go up to 5 PCs. Having in mind that Pro Suite costs $25 a month, Livedrive is one of a kind when it comes to pricing. Highly recommended cloud backup service! SOS Online Backup is one of the leading services of this type, offering a fair share of features, as well as support for an unlimited number of Android and iOS devices. As for the computer goes, SOS has some interesting, although little expensive plans for you. The cheapest one is $3.75 a month and it’s a 50 GB plan, which may be small for you. The most expensive one comes at $250 a month, but it’s a 10 TB plan, which is a little too much. There are other great plans in between, so you should visit their website if you are interested. Norton isn’t that generous when it comes to fancy offers, but it’s rather a simple cloud backup service. Norton Online Backup will offer you just a single offer, and that’s 25 GB at a price of $49.99 a year. Not bad, if you take into an account that you can back up from 5 different PCs.